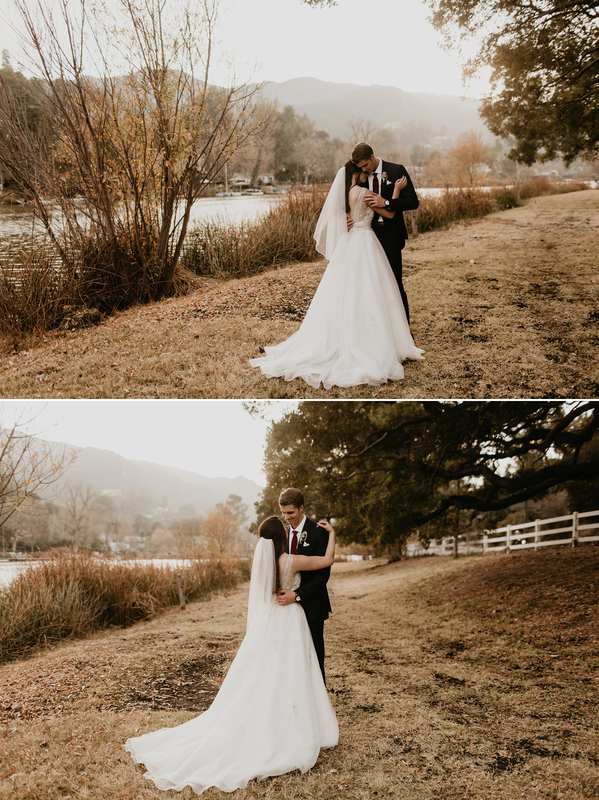 This couple traveled all the way from Texas to have their wedding in Malibu at the lake. 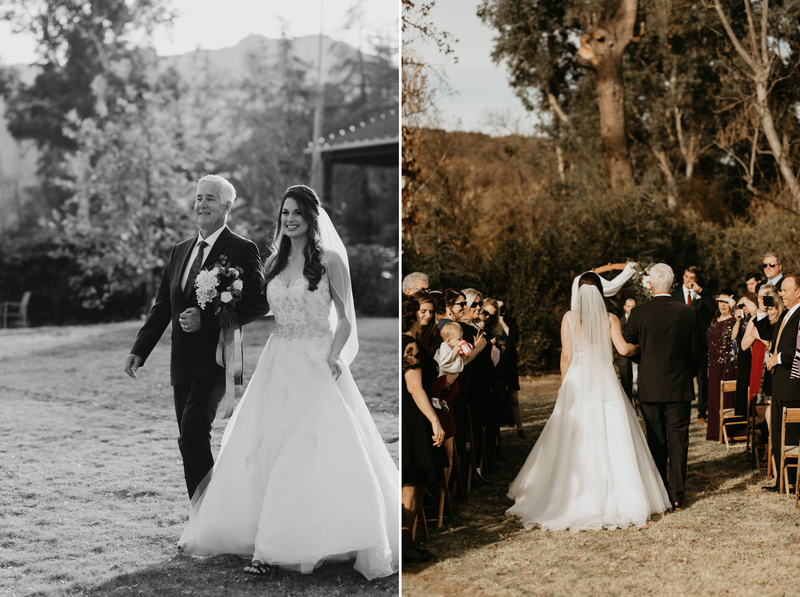 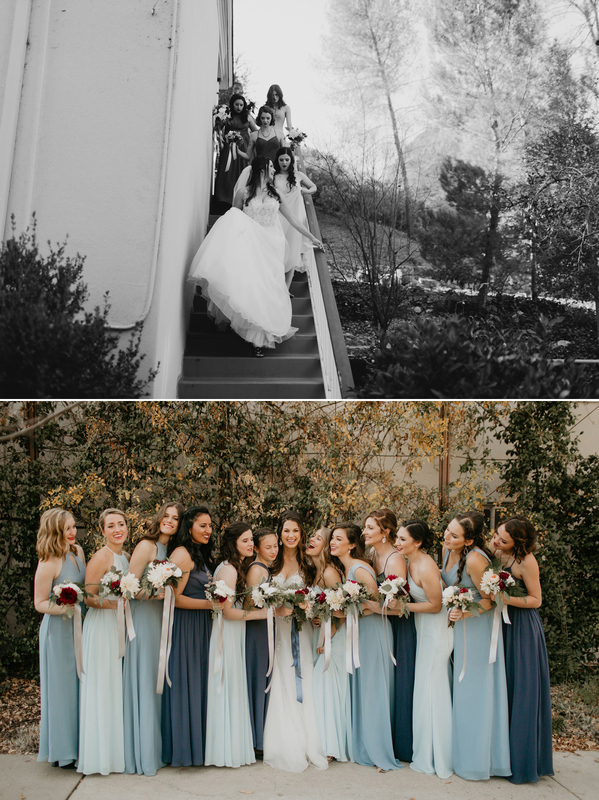 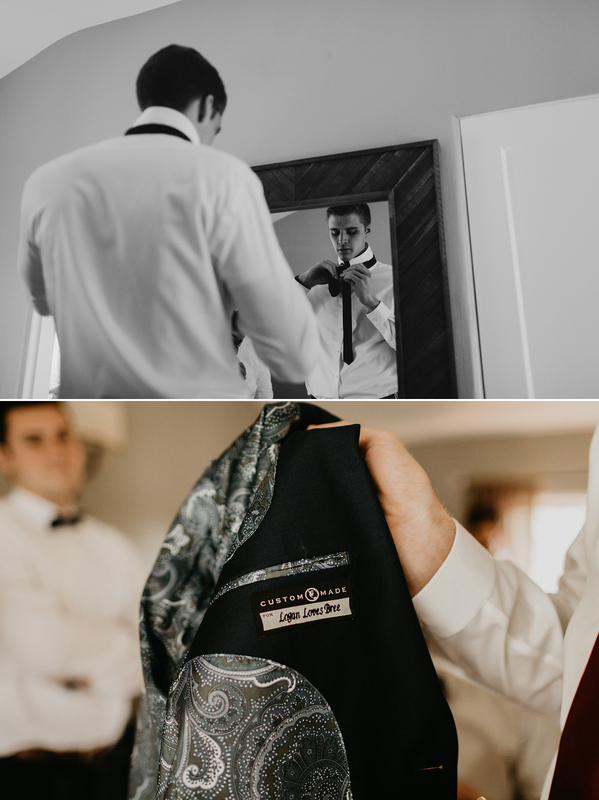 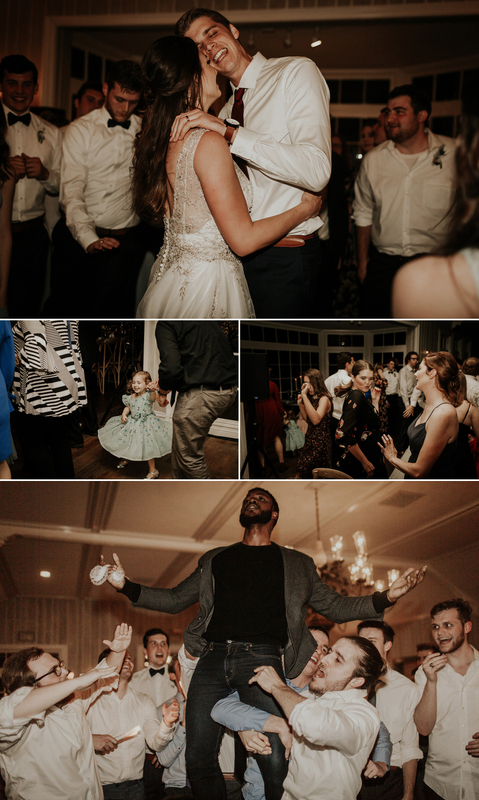 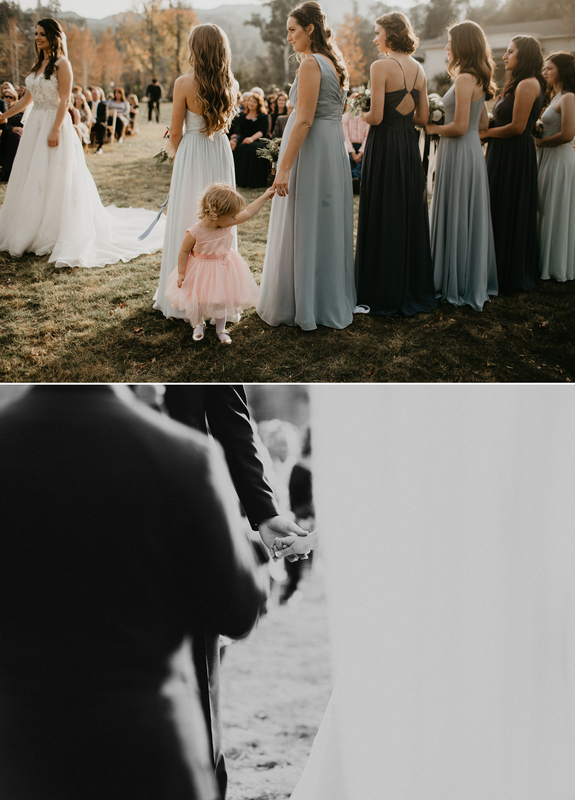 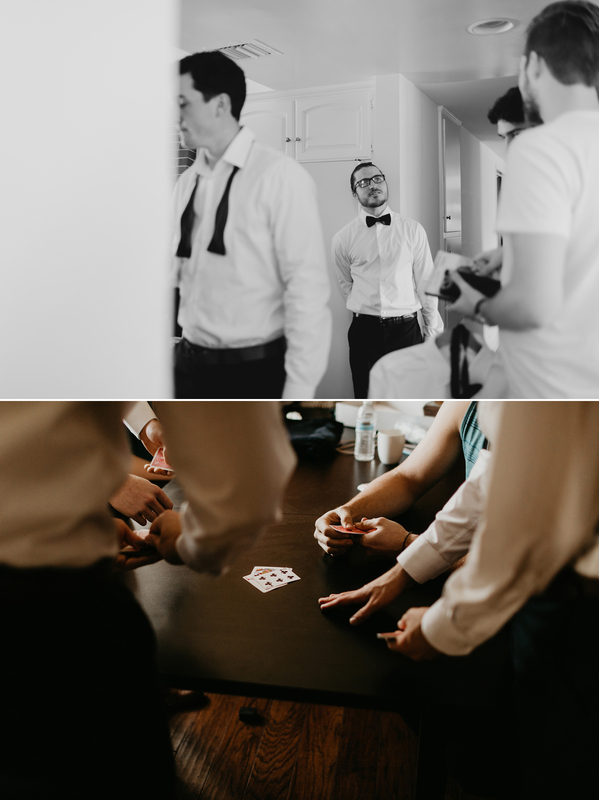 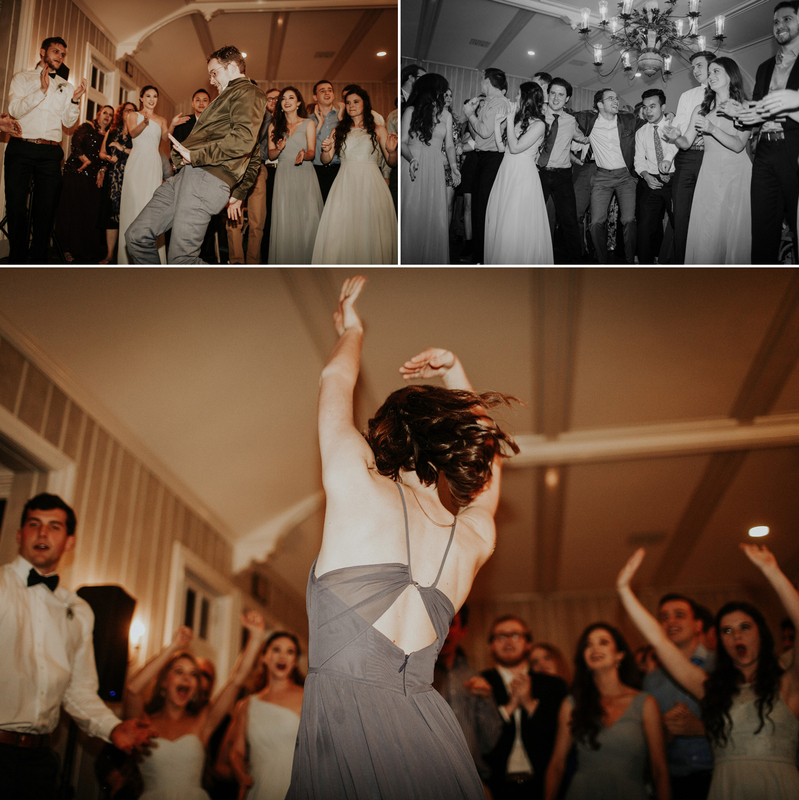 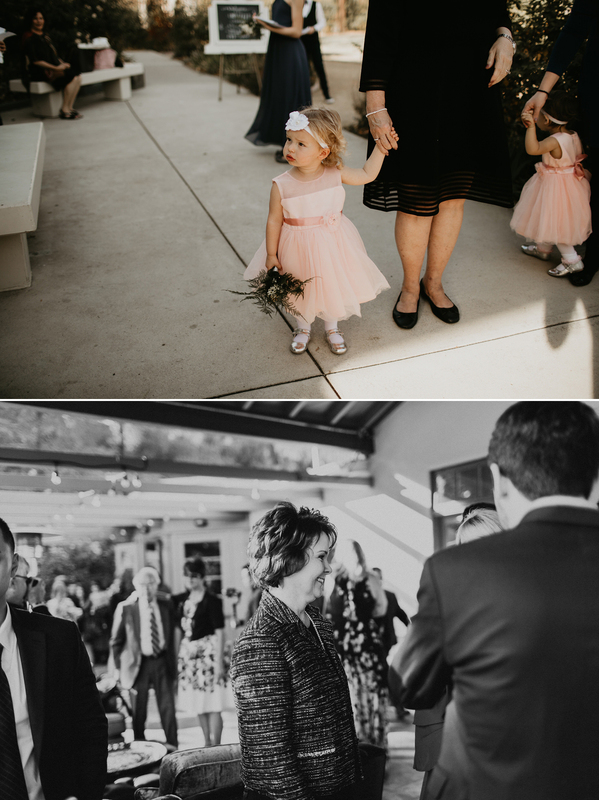 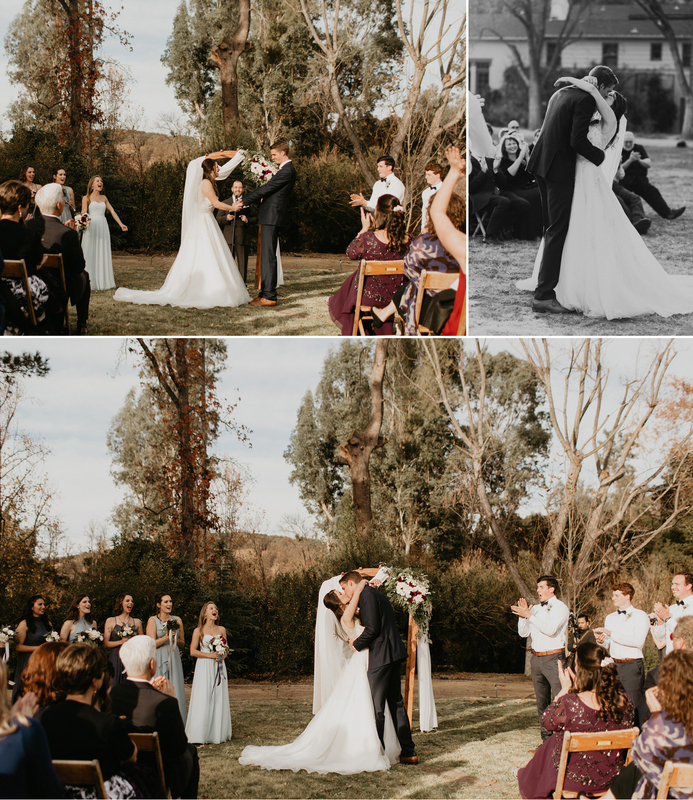 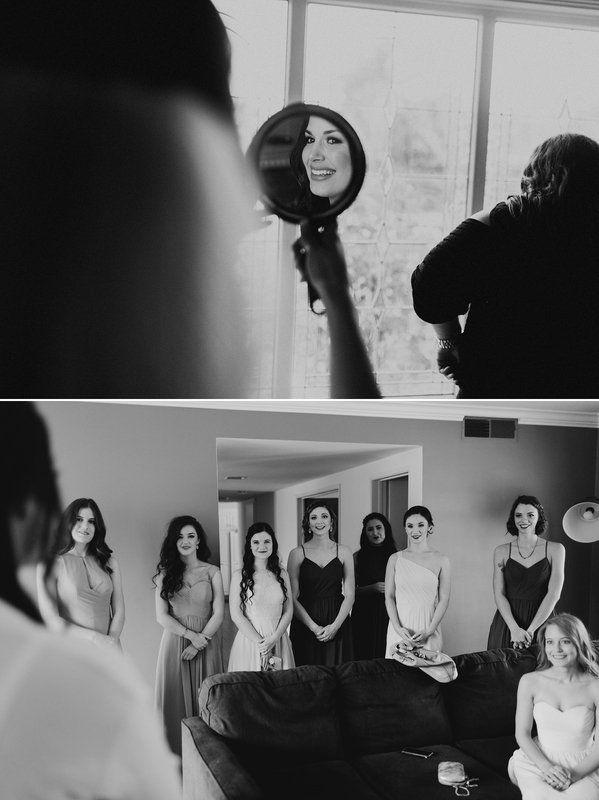 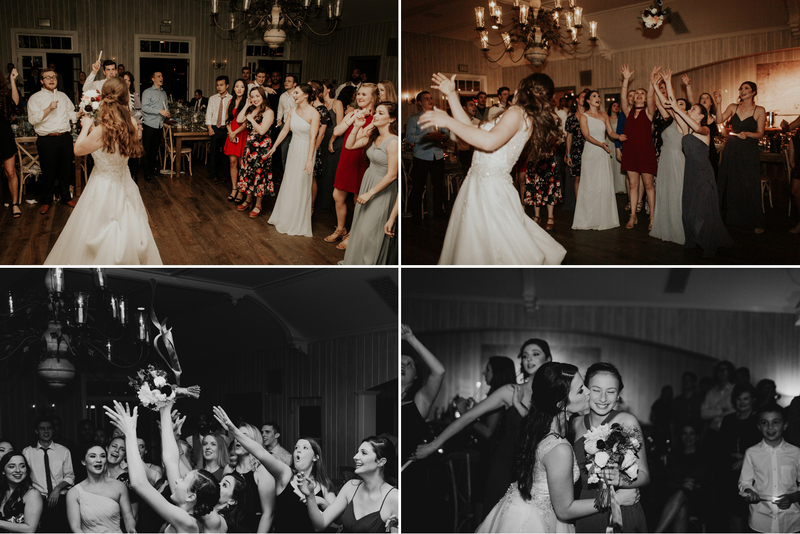 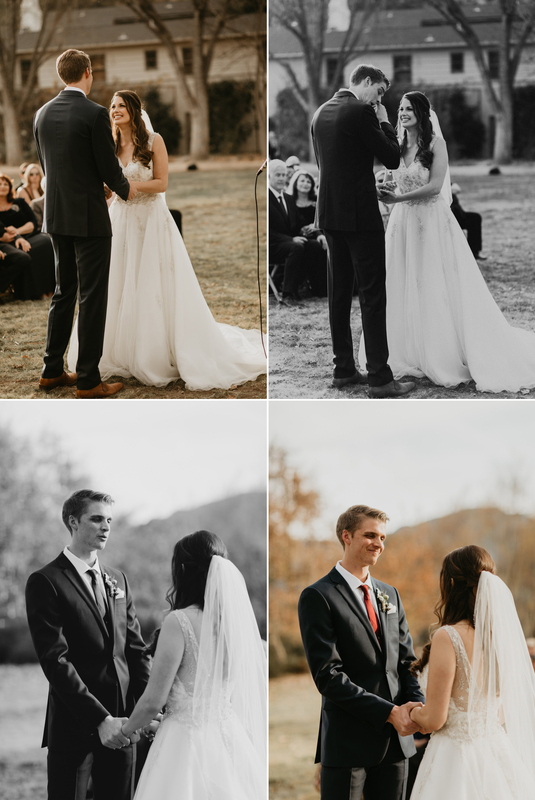 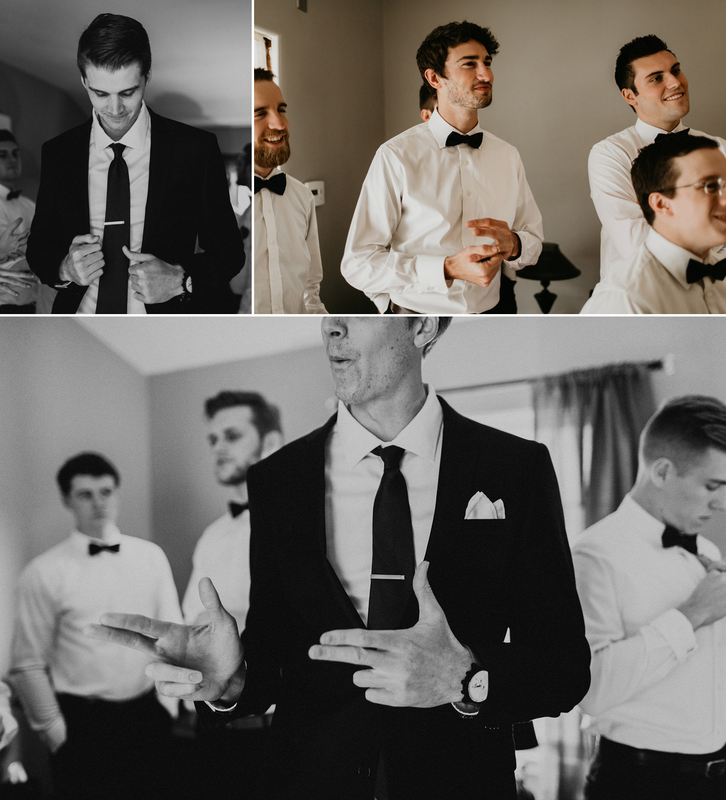 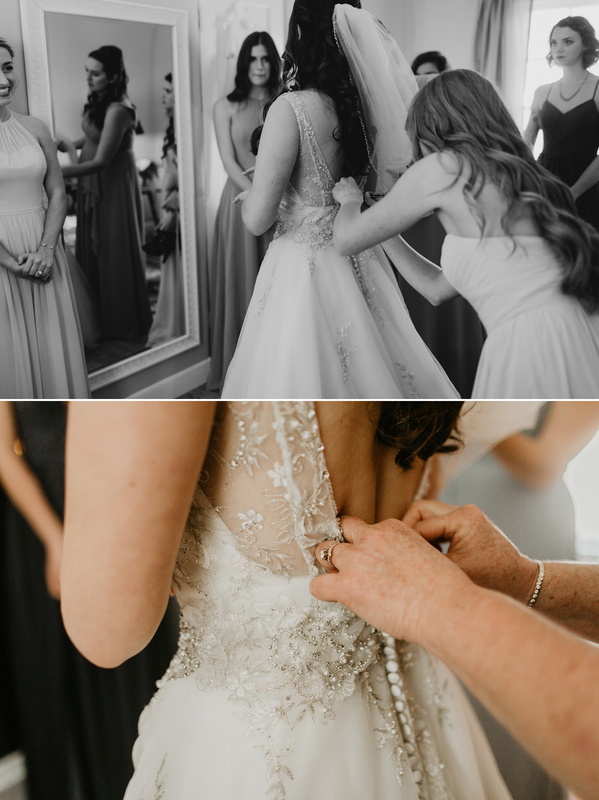 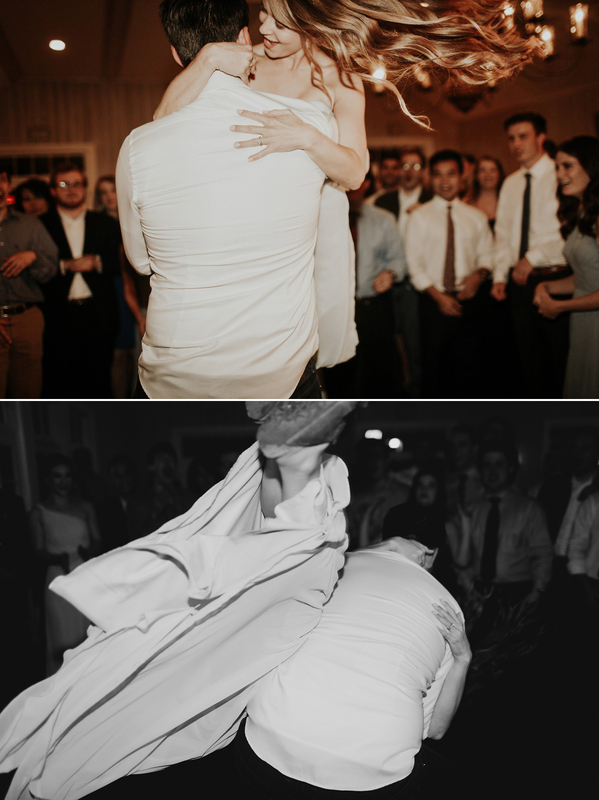 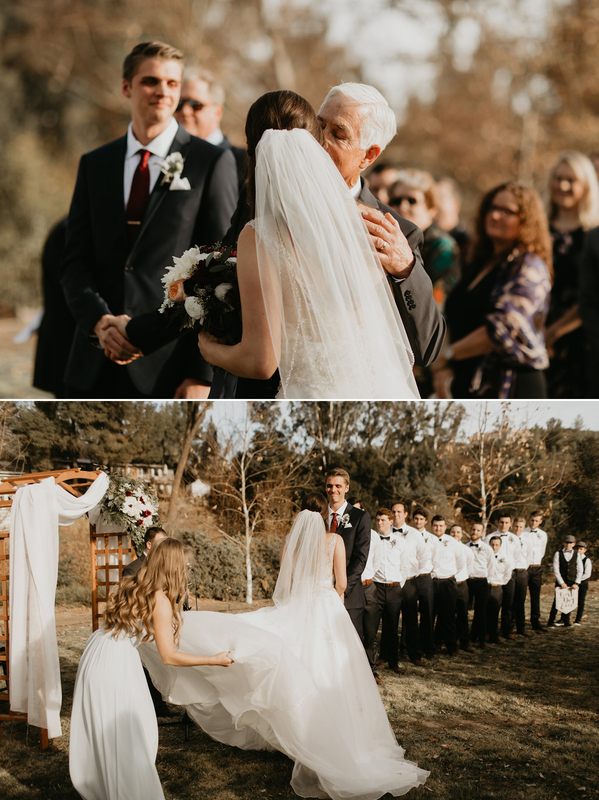 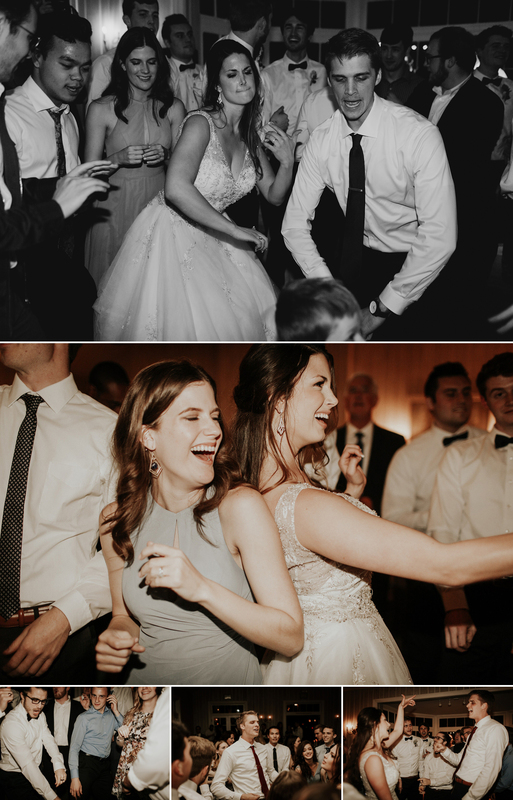 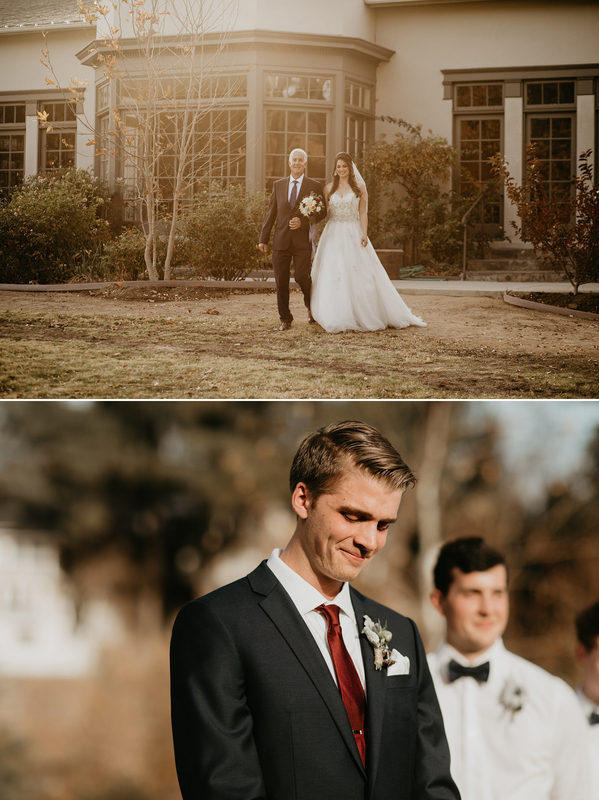 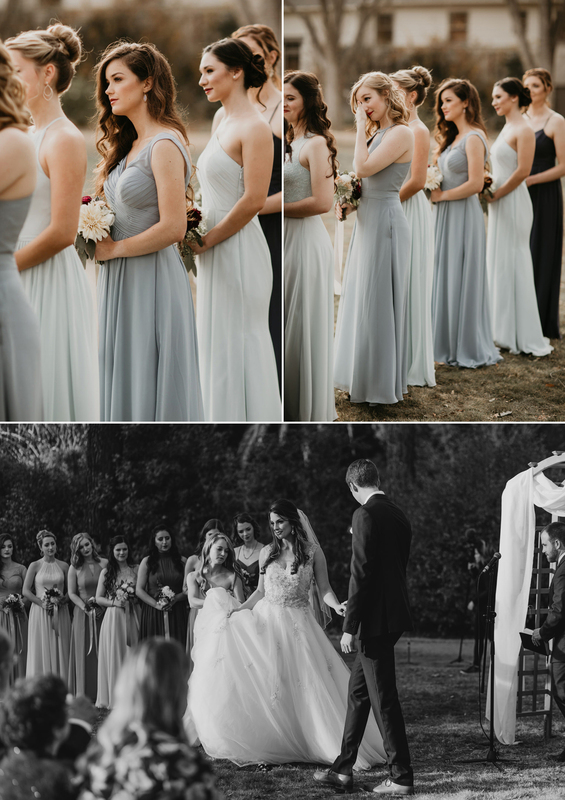 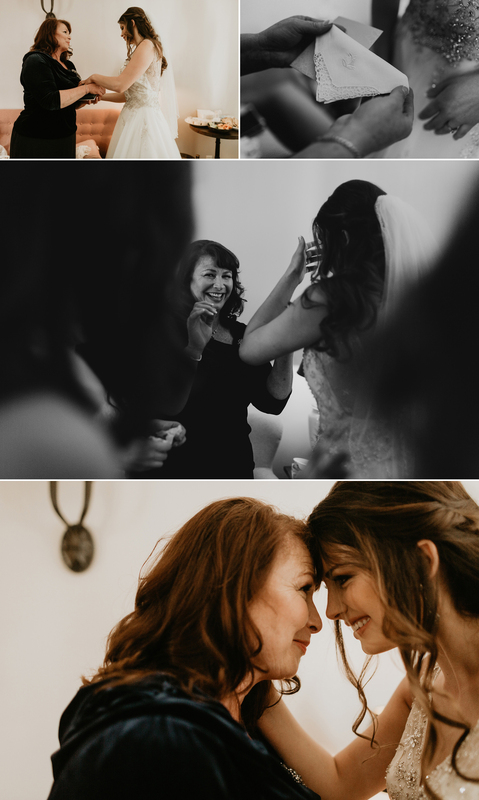 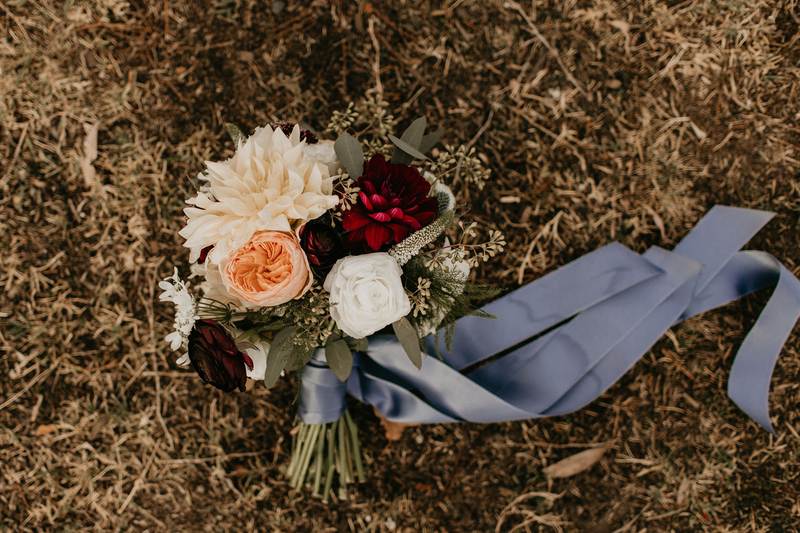 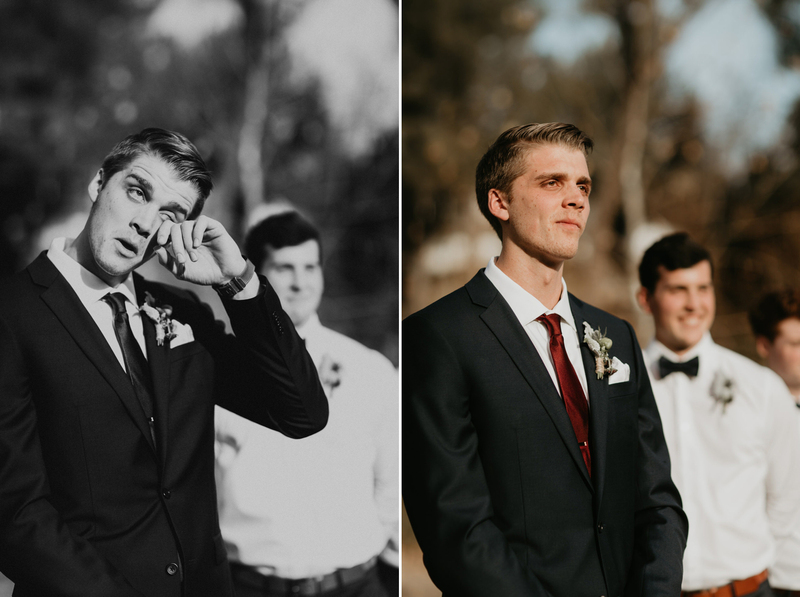 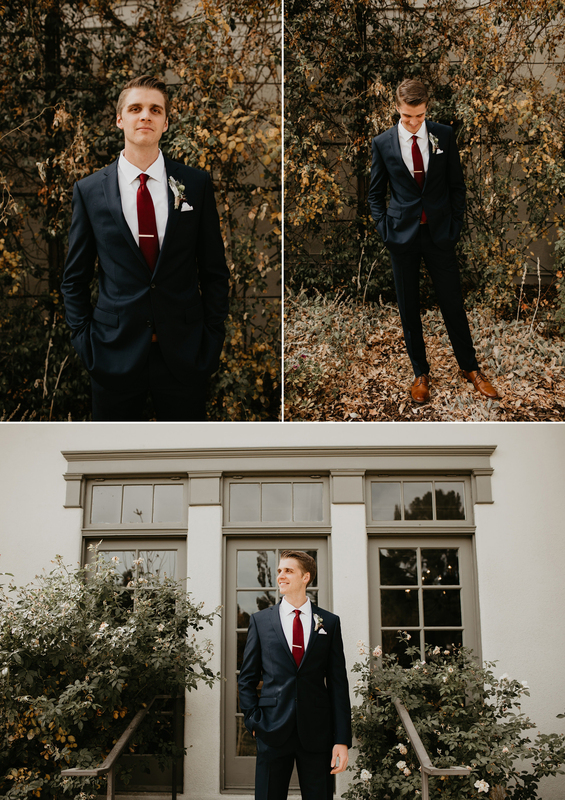 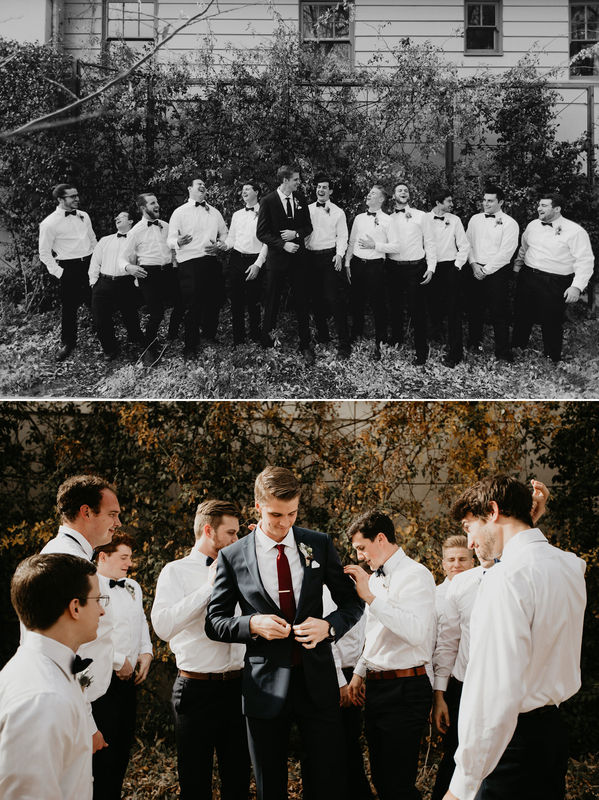 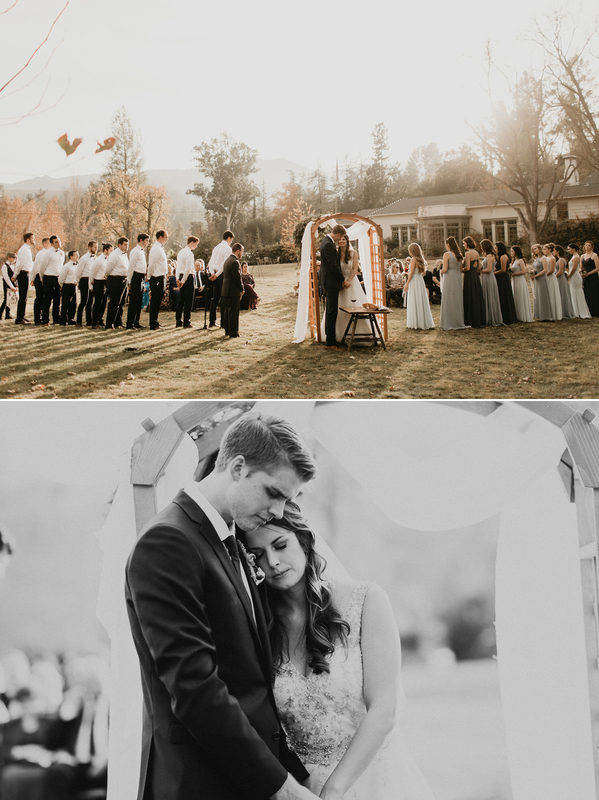 During their ceremony, they shared the most beautiful and emotional moments with their friends and family who traveled from all over to celebrate their love. 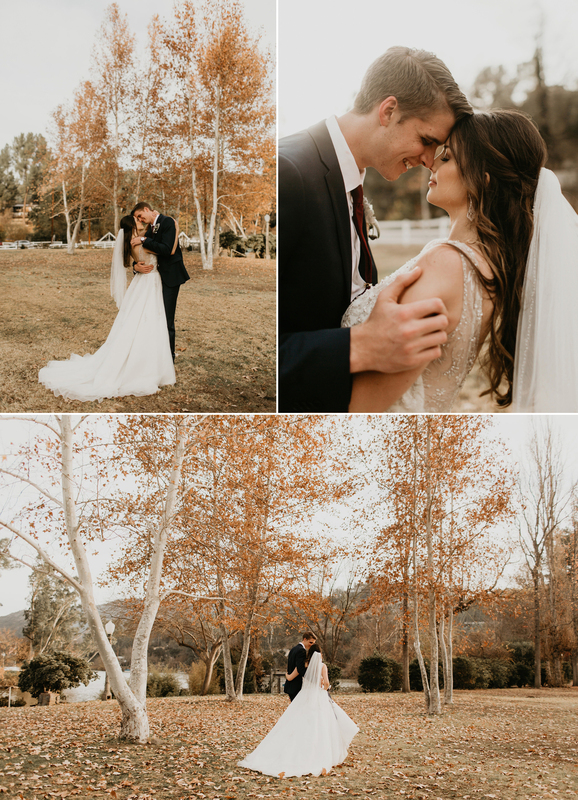 They were married in winter, the leaves were changing color and it was so calming. 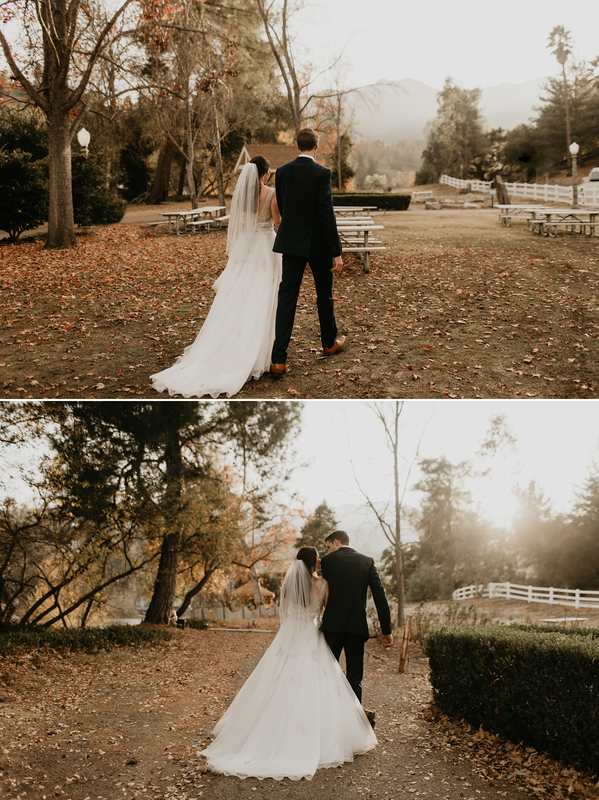 Here in California, our seasons are late and winter is more like fall. 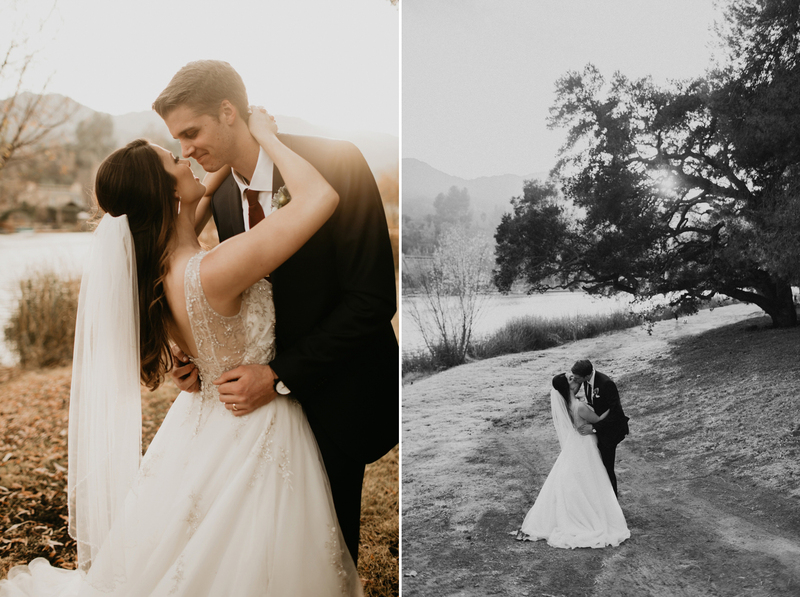 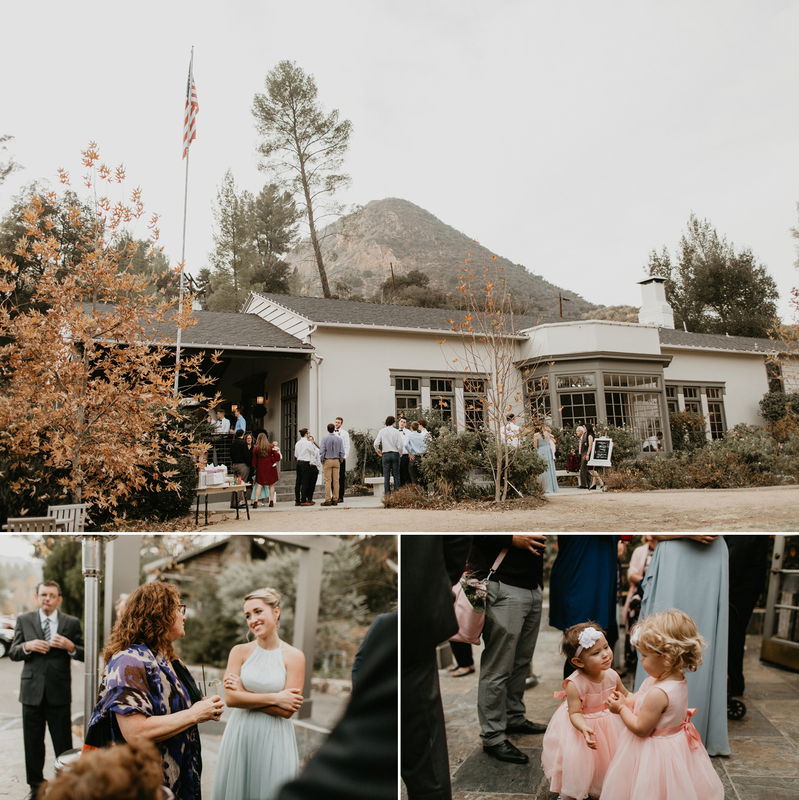 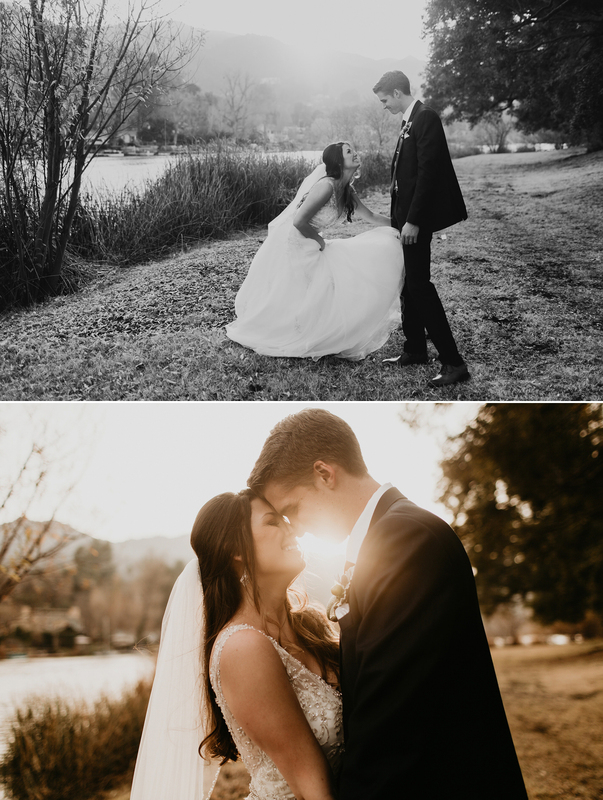 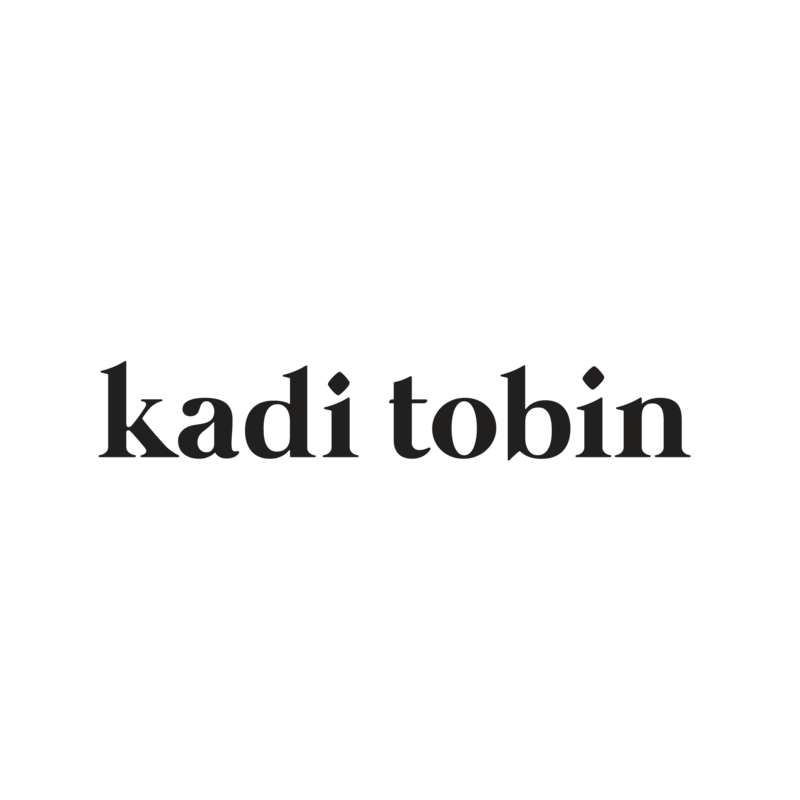 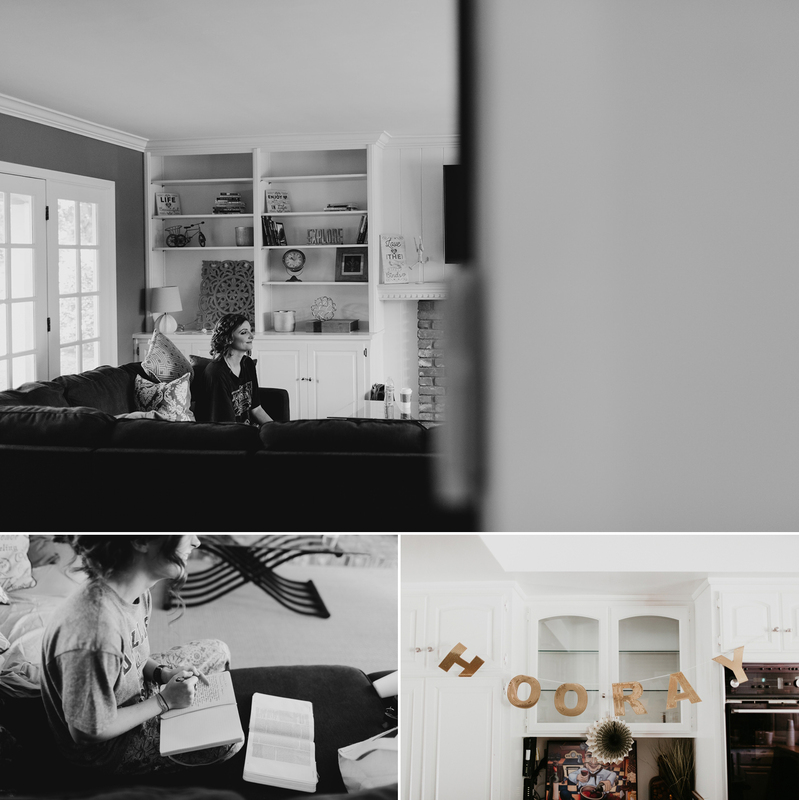 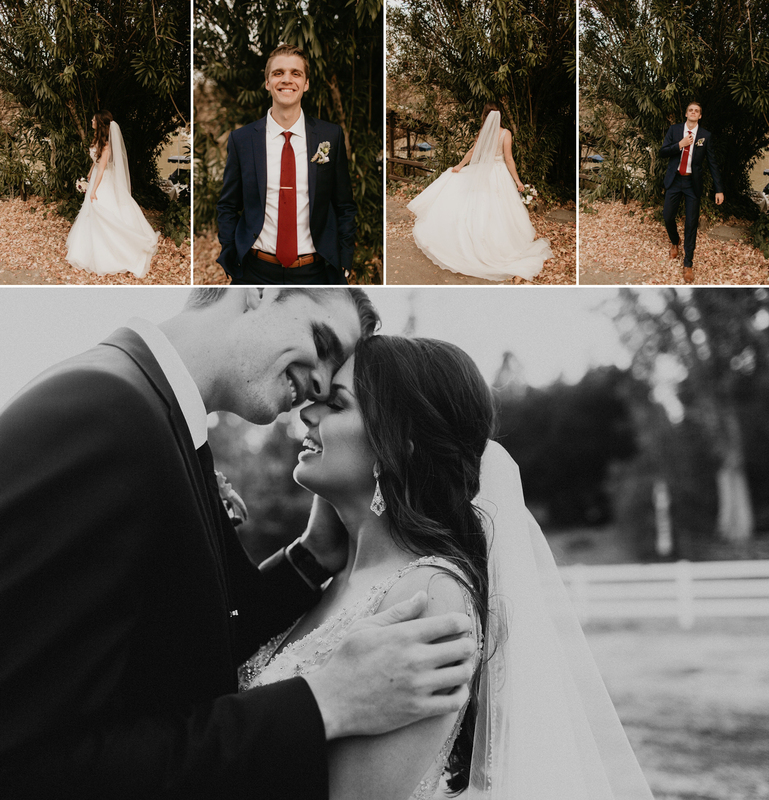 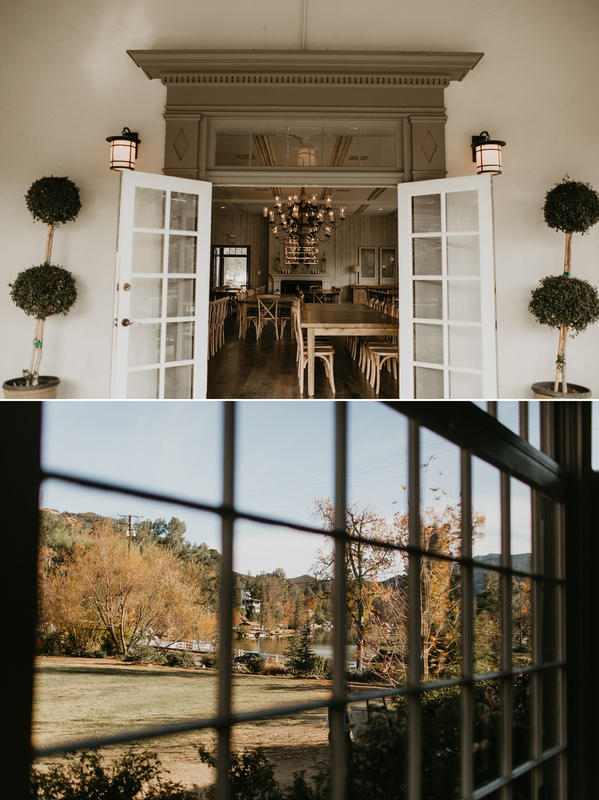 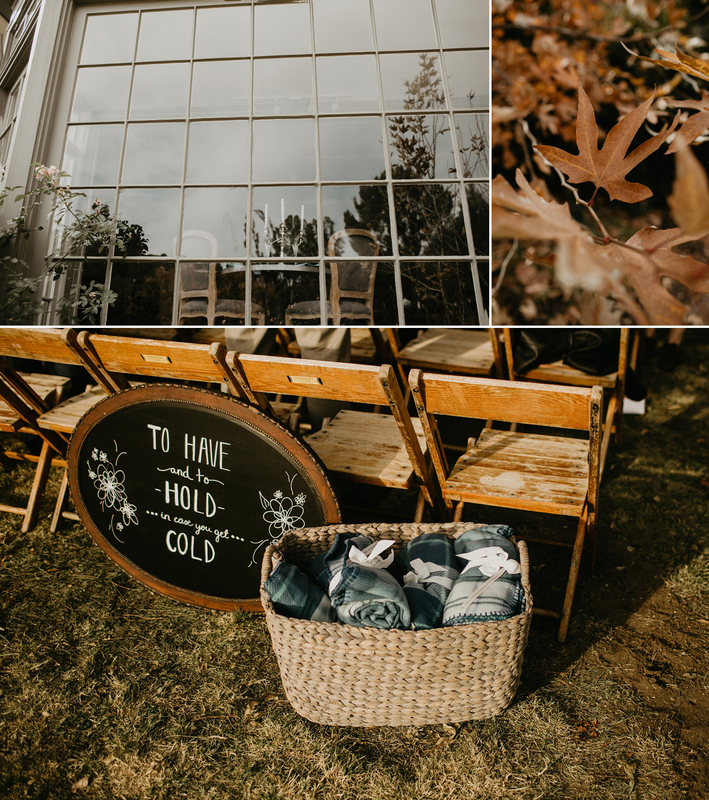 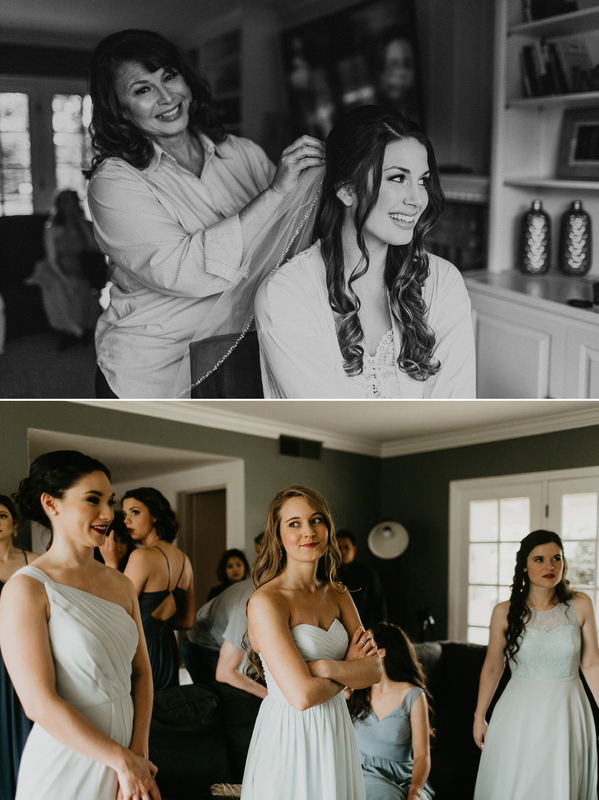 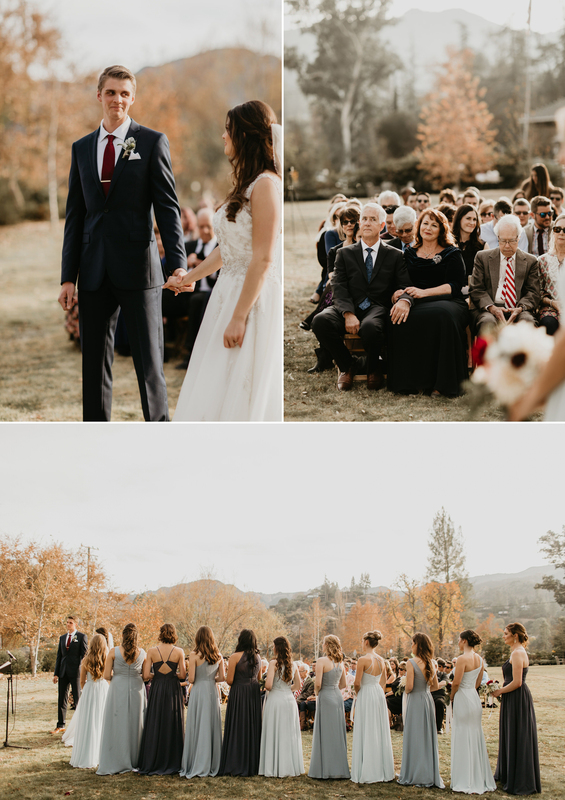 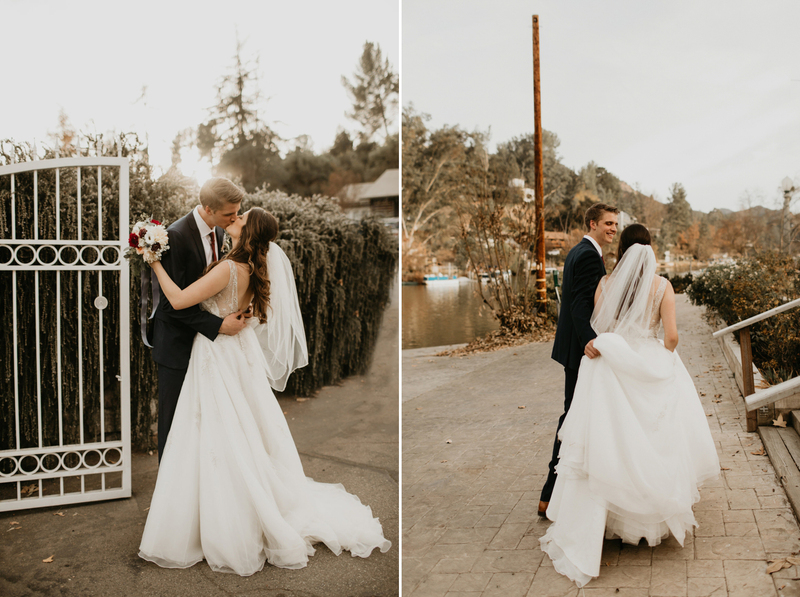 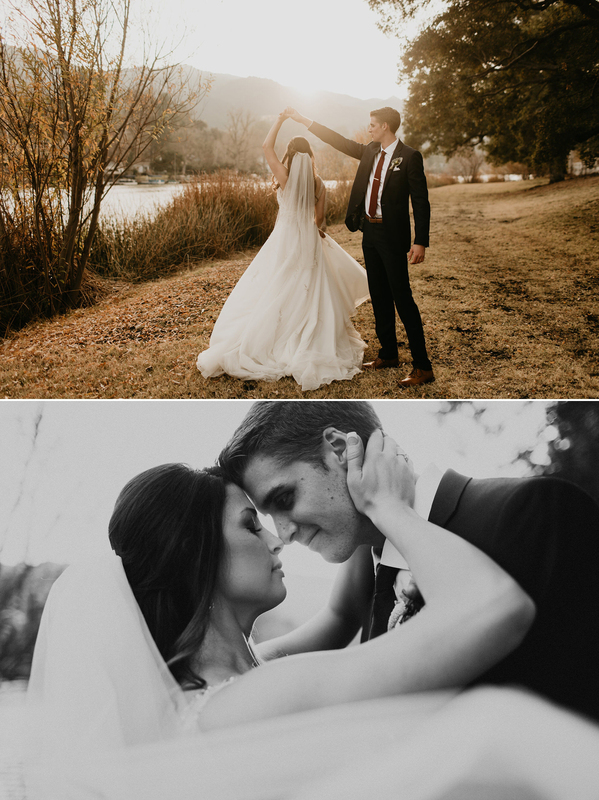 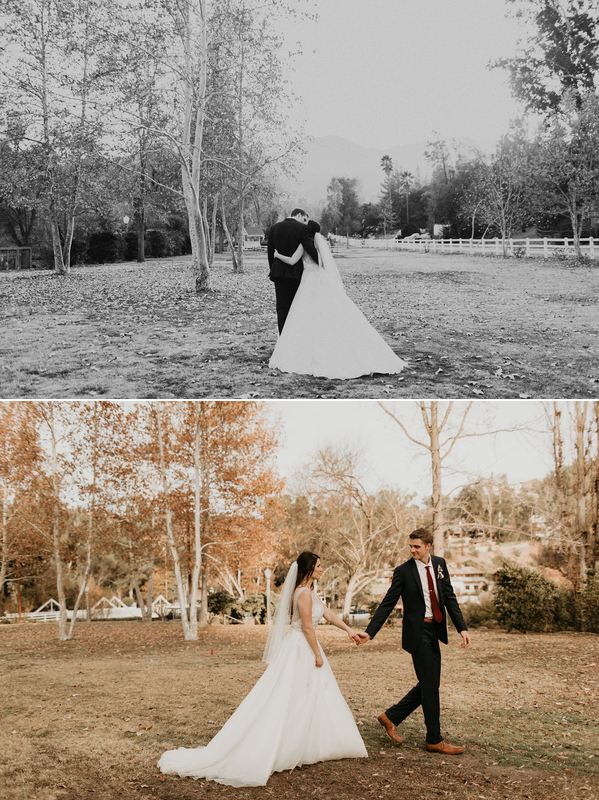 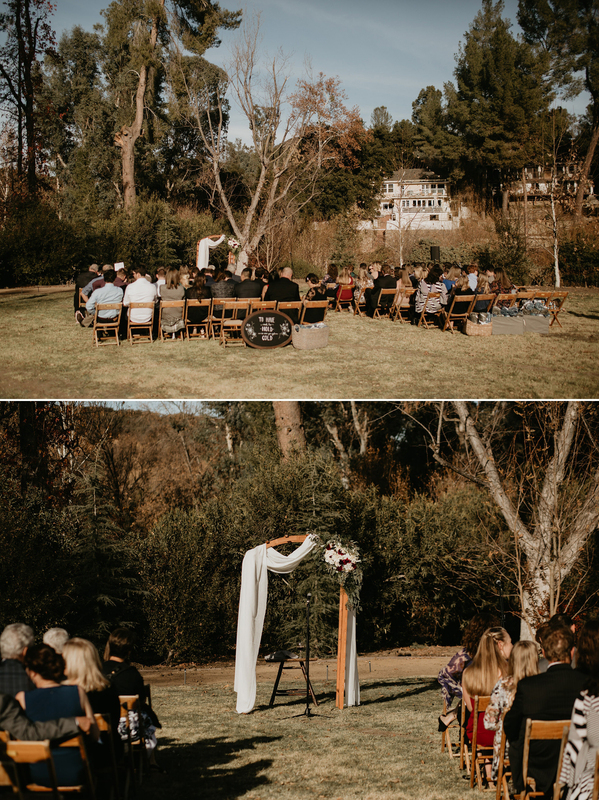 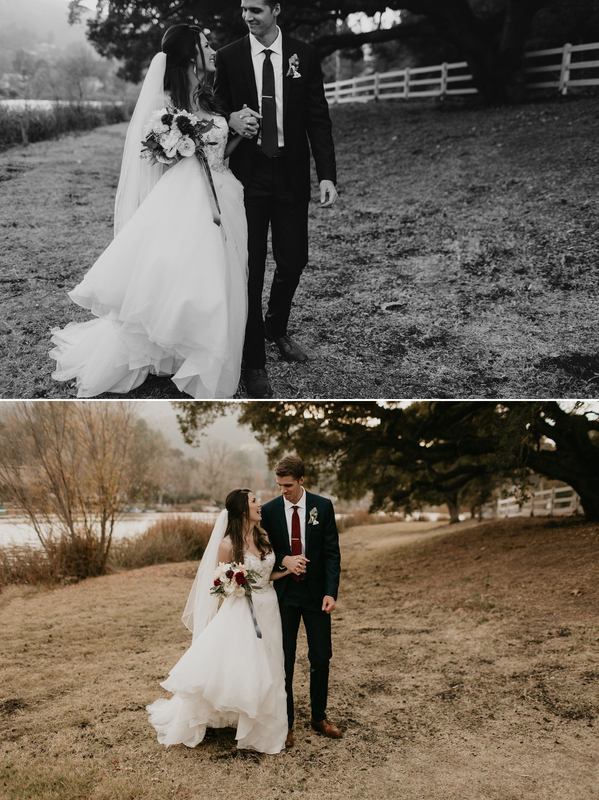 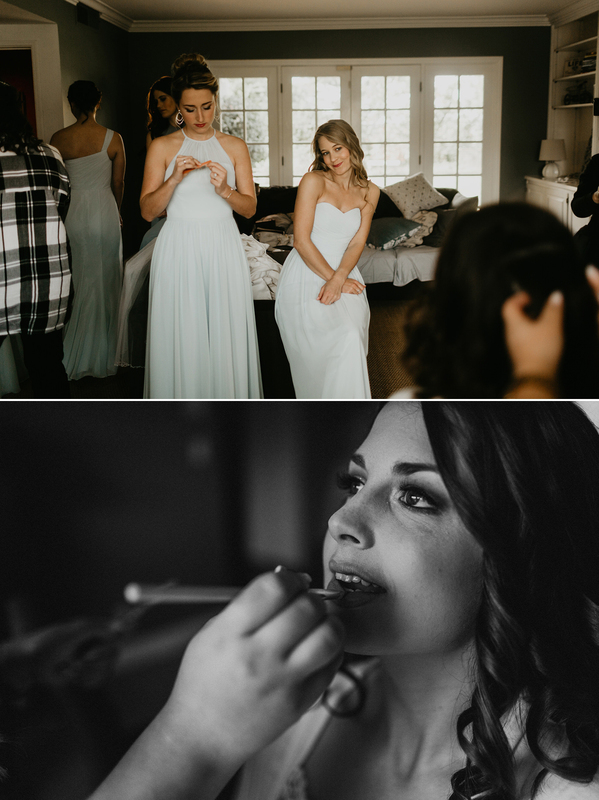 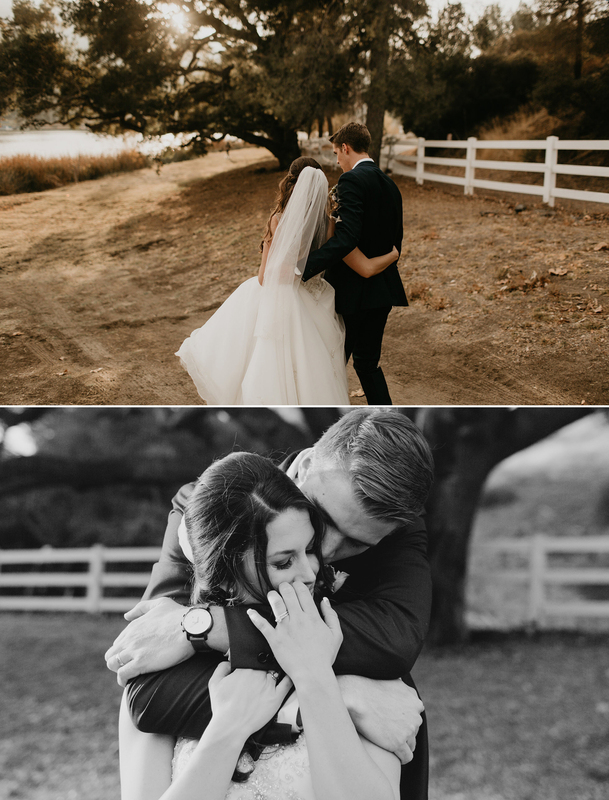 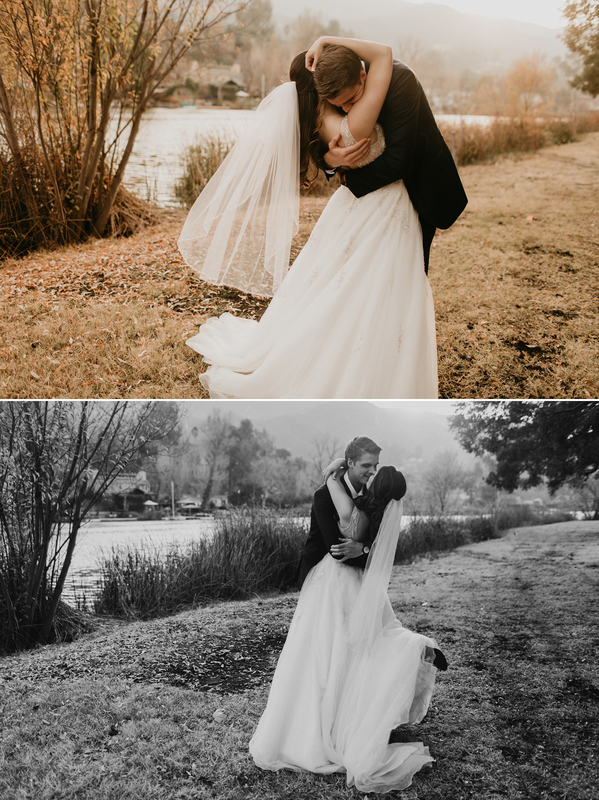 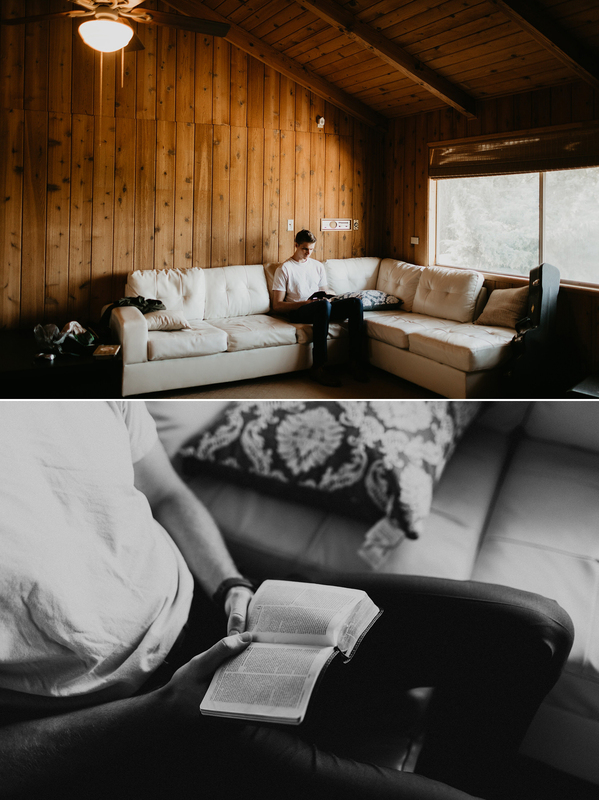 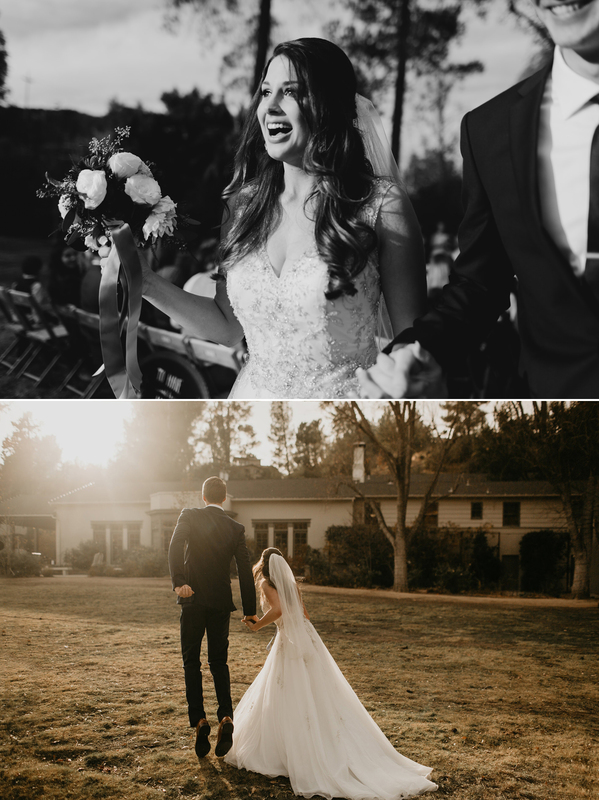 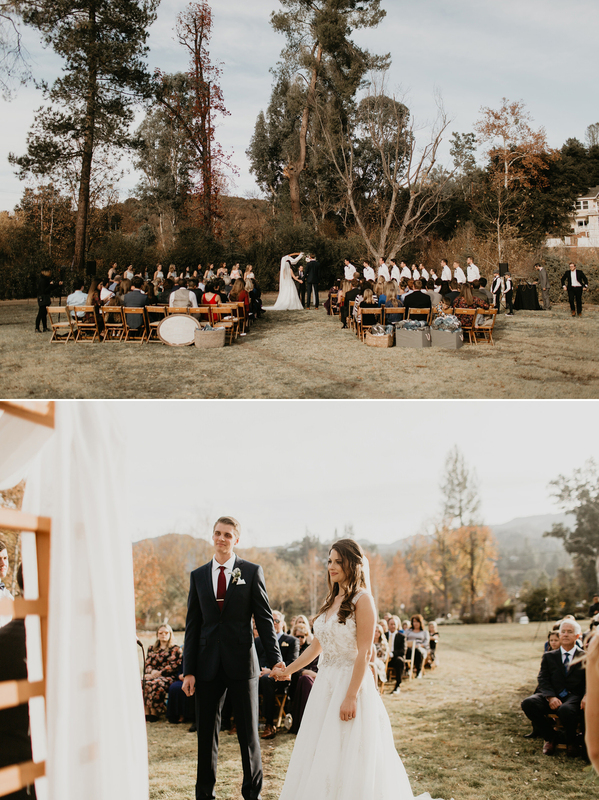 They chose to have their wedding at the Lodge at Malibou Lake because they wanted to be married outside, they also wanted it to feel intimate and meaningful. 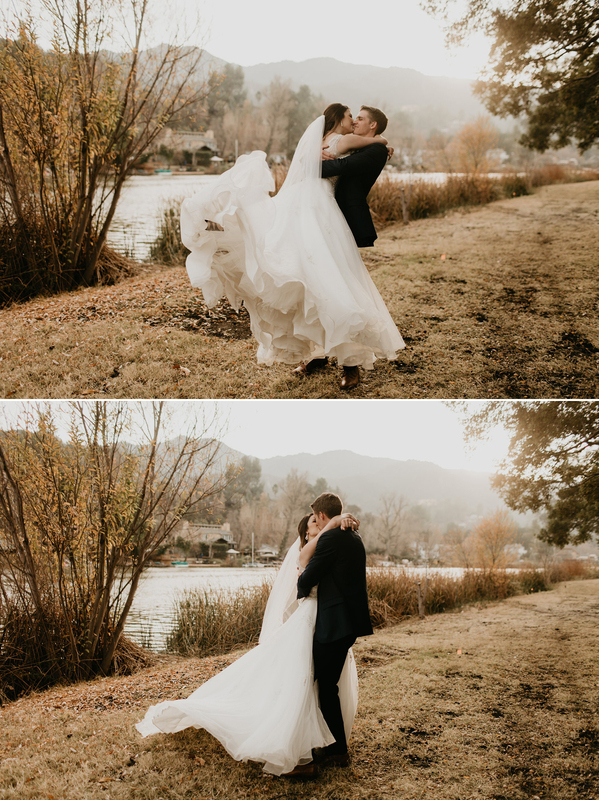 When they saw it they just knew it was the perfect place. 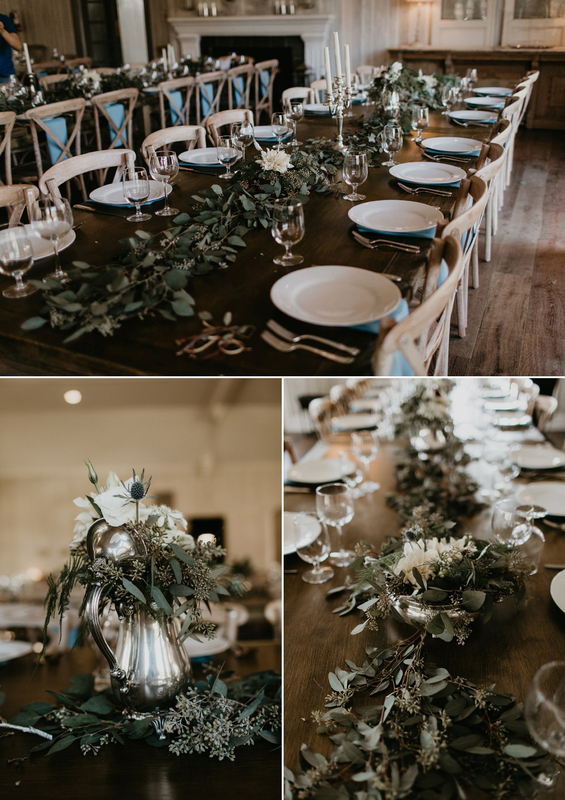 The bride and her mom traveled all over Texas searching for silver in antique stores to use as the centerpieces for the farmhouse-stye tables. 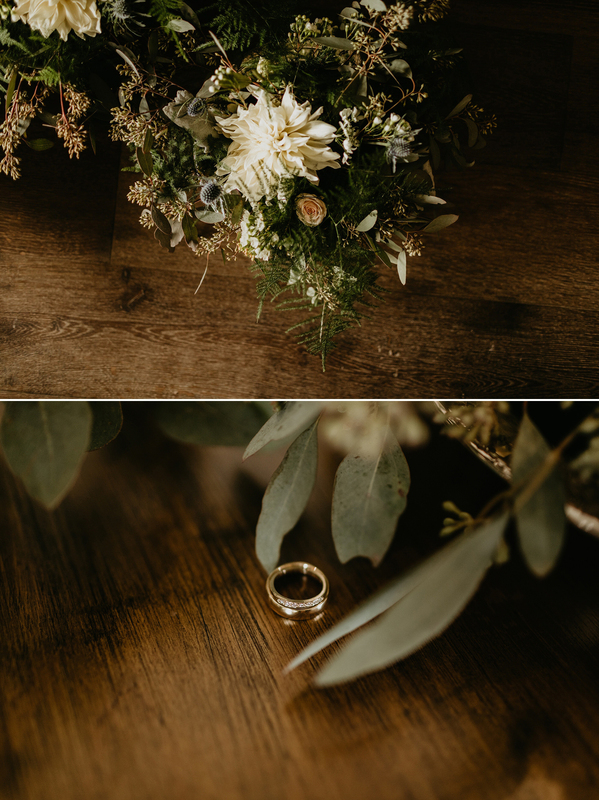 The florals were wild and beautiful, the florist designed each arrangement for every antiqued silver vessel and I loved how unique the centerpieces looked. 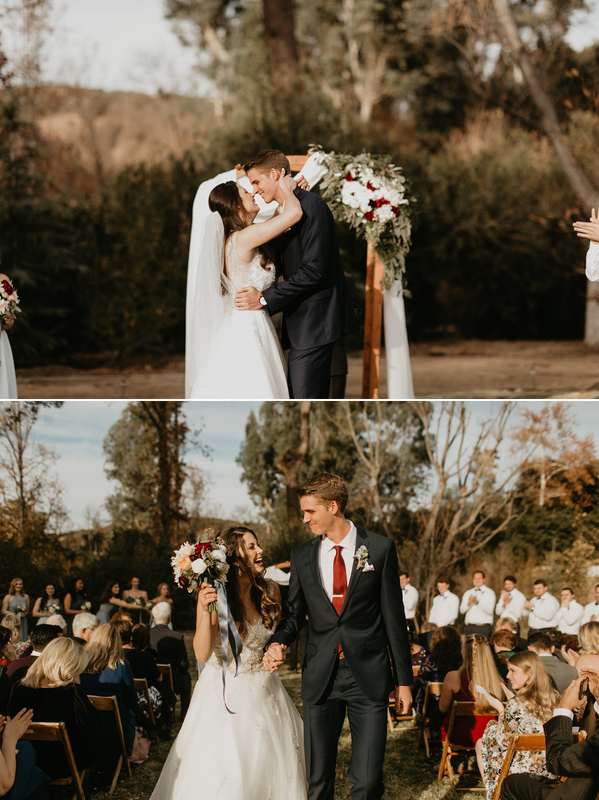 Logan and Bri met through mutual friends at their church. 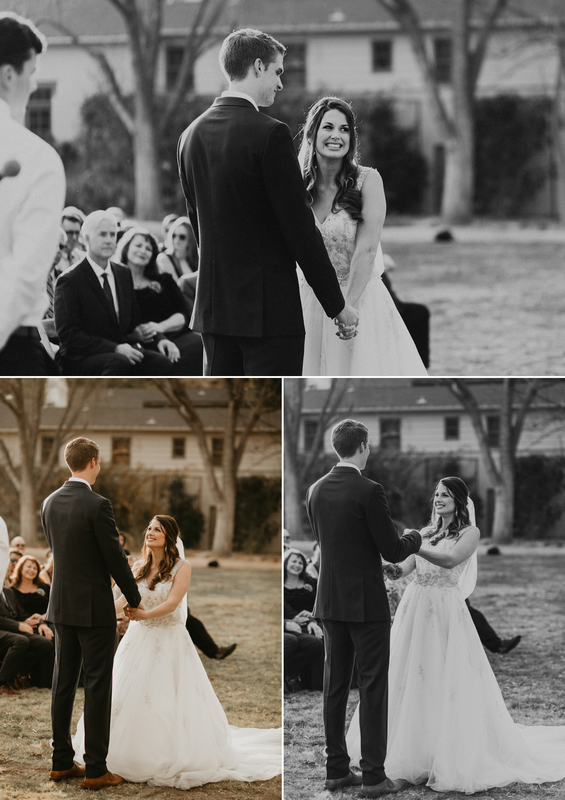 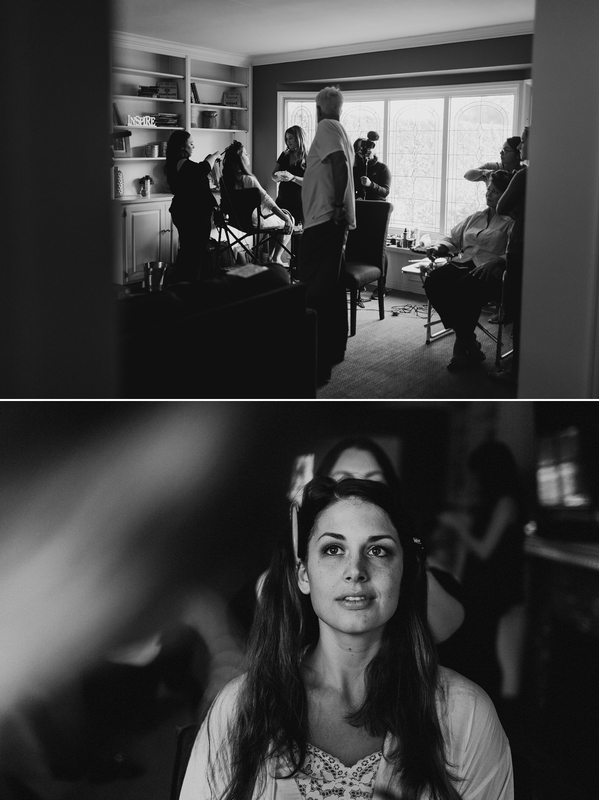 From the moment he laid eyes on her, he knew she was the girl he wanted to marry. 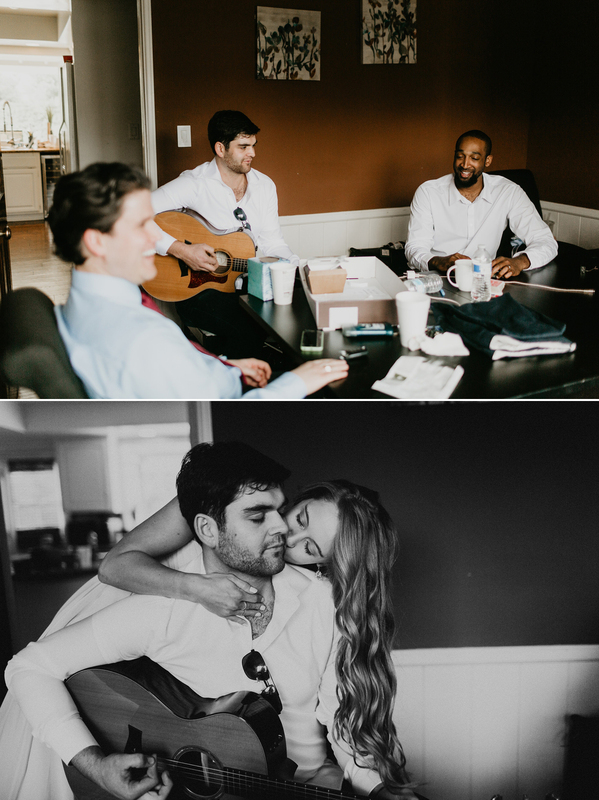 She loved his genuine personality and how grounded he was, he was also super goofy and made her double-over with laughter. 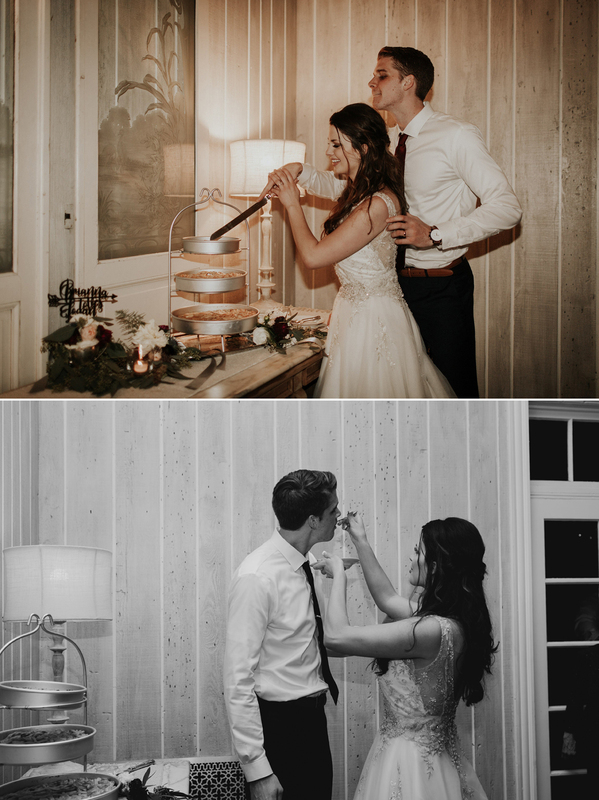 He was patient and built a strong and steady friendship with her over a year before he asked her on a date, he wanted to do things the right way. 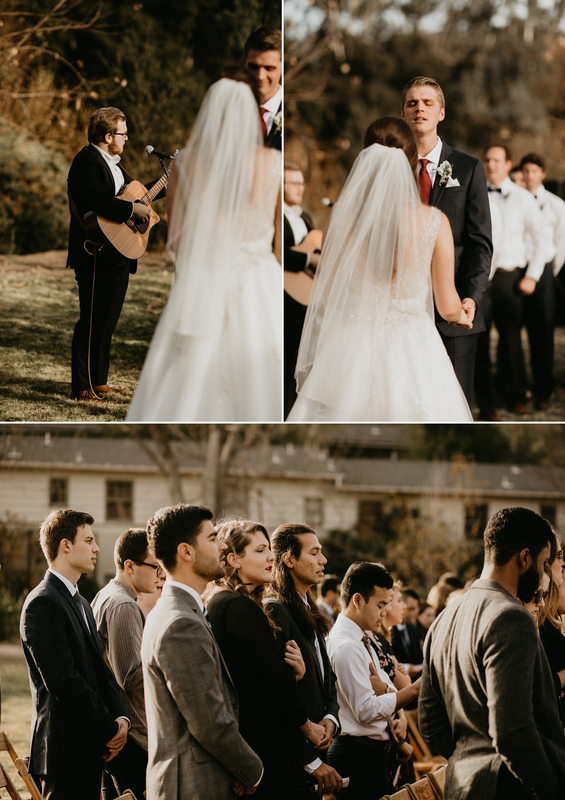 Their first date was at an outdoor concert in Dallas followed by a four hour dinner because they just couldn’t stop talking.